For the truss shown in Fig. P-111, calculate the stresses in members CE, DE, and DF. 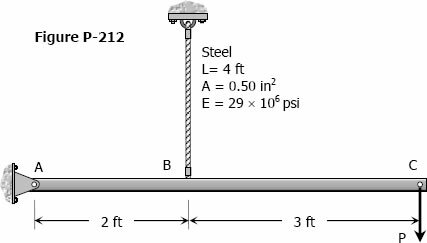 The cross-sectional area of each member is 1.8 in2. Indicate tension (T) or compression (C).